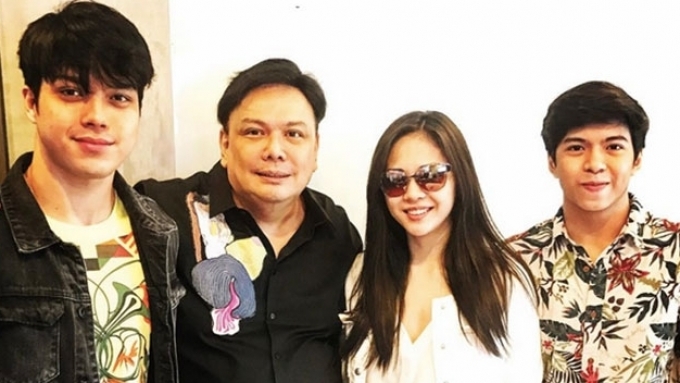 Janella Salvador and Elmo Magalona are set to topbill two new movies. The first one is the horror movie Bloody Crayons which they have already started shooting (left) while the second movie is titled My Fairy Tail Love Story. The ElNella love team already had their story conference and look test (right). The Janella Salvador-Elmo Magalona love team is set to topbill two new movies this 2017. 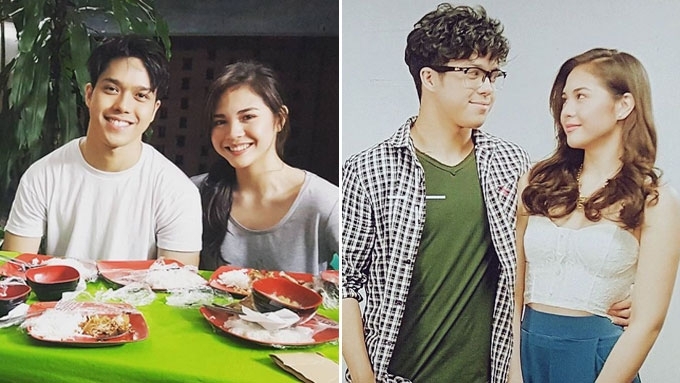 The ElNella tandem, which was first tested through the short-lived teleserye Born For You, has been tapped to play the main love team for the Star Cinema horror movie Bloody Crayons. The two have already started shooting for this film. Janella and Elmo will also play the lead characters in the movie produced by Regal Films titled My Fairy Tail Love Story. BLOODY CRAYONS. In Bloody Crayons, Janella and Elmo are set to co-star with Sofia Andres, Diego Loyzaga, Maris Racal, Jane Oineza, Yves Flores, and Ronnie Alonte. The movie is an adaptation of a Wattpad novel of the same title written by Josh Argonza. Originally, the ElNella tandem was not supposed to be a part of the movie when it was announced in January 2016. Julia Barretto, Khalil Ramos, Inigo Pascual, Ylona Garcia, and Bailey May were supposed to be part of the cast along with Diego, Sofia, Maris, Jane, and Yves. However, the movie—which was then directed by Quark Henares—had major changes while filming. Atm Early dinner w/ the red string #BCproject #godblesseveryone ????????????? Bloody Crayons is currently being helmed by former GMA director Topel Lee, who is known for his horror movies Ouija and Sundo. Direk Topel is now a director for ABS-CBN TV shows. In fact, he shares directorial duties for the afternoon series The Better Half. Bloody Crayons serves as the second horror movie for Janella, Sofia, and Ronnie. Janella topbilled the Metro Manila Film Festival 2015 entry Haunted Mansion together with Jerome Ponce and Marlo Mortel. Ronnie was the main star in the MMFF 2016 horror entry Seklusyon. Sofia just recently topbilled Regal Films's horror movie Pwera Usog, which is currently showing in cinemas. MY FAIRY TAIL LOVE STORY. 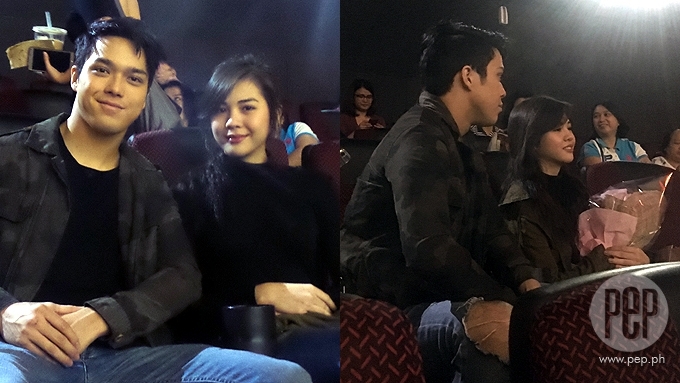 Last March 19, Janella and Elmo attended the story conference for My Fairy Tale Love Story. This is according to a post published on the Instagram account of Regal Films. #MFTLS storycon starring Elmo Magalona and Janella Salvador directed by Jun Robles Lana, produced by The IdeaFirst Company for Regal Entertainment Inc! Swimming Soon! No other details were divulged yet about the movie, aside from the fact that it will be directed by Jun Lana. Direk Jun helmed Haunted Mansion, which is Janella's first movie with Regal Films. Based on the title card featuring a tail and having the sea as its background, it seems like one of the main characters will play a mermaid. The ElNella tandem also had their look test for the film. It can be seen that Janella sports curly hair while Elmo gets a nerdy look. This film is produced by The IdeaFirst Company for Regal Entertainment. My Fairy Tale Love Story is Janella's third movie with Regal Films. 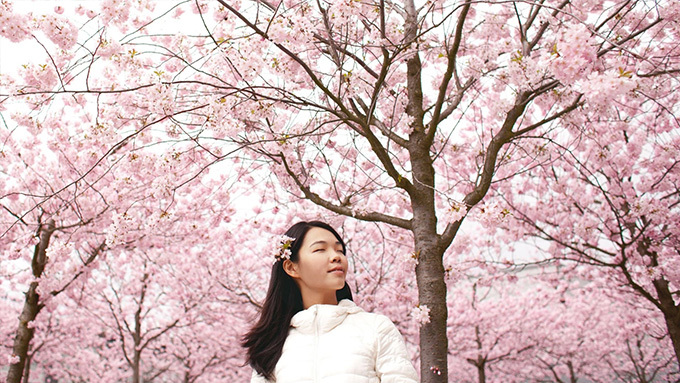 In 2016, she was part of the film outfit's Christmas offering Mano Po 7: Chinoy. No showing date has been announced for both films. Last February, Janella and Elmo were also seen meeting with ABS-CBN Business Unit Head Deo Endrinal for a new teleserye with Nash Aguas. Elmo on Janella: "I'm super proud of her."